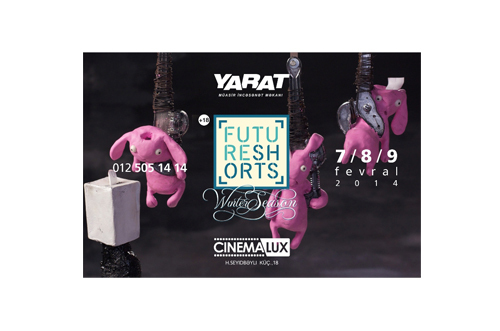 The new winter season of FutureShorts opens in Baku in February, YARAT Contemporary Art Space announced. FutureShorts is the world's largest pop-up short film festival. This season will present a truly international excursion into the world of short films with a mixture of six films from France, Poland, Serbia, Finland, and Afghanistan. The screenings will take place on February 7 at 19:30, February 8 at 18:00, and February 9 at 18:00 at Cinemalux movie theatre, H.Seyidbeyli str., 18. Tickets are availble at city box offices at the cost of 5 manats. The spectators will go down to the underground in search of a light in Eduardo Williams' "That I'm falling" I Que Je Tombe Tout le Temps (France, 2013), follow two Polish sisters who are looking for their mother in "Out of Reach" (Poland, 2011) by Jakub Stozek, and witness a rather unexpected incident at a convenience store in the animation "Blind Spot" (France, 2007). Directors Nedeljkovic & Majdak from Serbia take the audience on an extraordinary trip to Rabbitland (2012), while Jenny Toivoniemi shows a date of a different kind in her film "The Date" (Finland, 2012), and finally Sam French invites the audience to join in the world of Afghanistan's "Buzkhasi Boys" (Afghanistan, 2011) to see a different story of the coming of age of two best friends. In 10 years of showcasing amazing short films and filmmakers from around the world in stunning venues, Future Shorts has built the world's largest community for short film fans from Finland to Mexico, including Mongolia and Kazakhstan. The world's largest pop-up short film festival covering 90 countries, 300 cities, and 6 continents with 1,400 screenings allows anyone anywhere in the world to run a film festival and be part of its global community.